Start by reading over this simple how to broomstick lace baby blanket photo tutorial. It is much easier than you think. 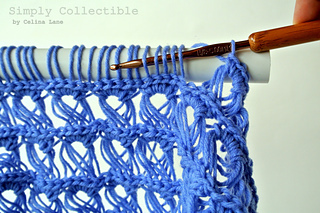 How difficult is Broomstick Lace Stitch? To start, if you can yarn over, pull up a loop and single crochet, you can make a scarf, a baby blanket, an afghan or whatever your imagination leads you to. 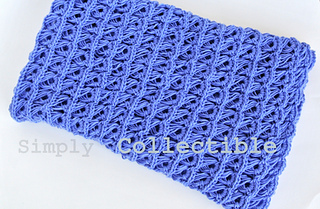 What do I need to make Broomstick Lace stitch? A crochet hook – Whatever hook the yarn you chose calls for… go up one or two sizes. “Broomstick” or Broomstick Lace Pin/ Jiffy Lace Needle — The hunt to see what else was available other than knitting needles, rough broomsticks and pvc pipe proved fruitful. Wooden dowels will be an excellent addition to your supplies IF, and only if, you purchase them already sanded down like the ones I found at a local craft store. Boye makes a Broomstick Lace Pin Needle and there are other Jiffy Lace Needles out there from other sources. Come see more of my patterns.